The Dog Federation of New York (DFNY) today issued letters of commendation to the staffs of the Fairmount Animal Hospital and the True Blue Animal Hospital of Syracuse. Employees at the two area veterinary facilities responded compassionately to the dire needs of abandoned kittens found nearby. Their hard work and commitment to the welfare of animals saved the lives of the young kittens apparently left alone in an area park. Kittens as young as the ones rescued by the animal hospitals require round-the-clock attention and must be fed every three hours. They are given a special formula to compensate for the loss of their mother’s milk. Permanent homes have been found for some, but not all, of the kittens. People who would like to add a kitten to their families should contact the hospitals for further information. 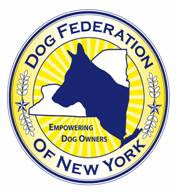 The Dog Federation of New York is a coalition of individual dog owners and dog-related organizations committed to responsible ownership, with a membership that spans the State of New York. We are pet owners, dog trainers, animal control officers, breeders and exhibitors, and animal rescue volunteers. Our diverse membership is committed to helping New York legislators respond appropriately to the concerns we all share, including providing for the public’s health and safety while addressing concerns on animal welfare issues. We write to express our opposition to the provisions of the above proposal, and to urge that the bill be held for further consideration. Based on misinformation and internet rumor, and backed by national animal extremist organizations, IR 1545-2011 would interfere with interstate commerce, violate state law pre-empting localities from regulating the sale of dogs, and essentially make Suffolk County responsible for the establishment of unfair trade practices. Suffolk County is already saddled with a radical animal rights-driven and highly questionable “animal abuser” registry which, with no demonstrable effect on the prevention of crimes against animals, deprives Suffolk residents of their right to equal protection of the law and appears to unlawfully gift public monies generated pursuant to a public law to a private corporation. With a stated goal of addressing unnecessary euthanasia in animal shelters across the country, IR 1545-2011 would further expose local residents and taxpayers to additional violations of their constitutional and civil rights, and the expense of defending the County in court when the law is inevitably challenged. The best information available indicates that animals from pet stores rarely contribute to shelter populations. A study published by the National Council on Pet Population, whose membership includes the ASPCA, the American Humane Association and the American Veterinary Medicine Association, found that dogs purchased from pet stores constitute just 3.9% of shelter populations. Since this best estimate of pet store contribution to shelter populations is less than 4%, it follows that the power of this proposal to reduce shelter euthanasia rates is minimal at best. Furthermore, euthanasia rates have fallen dramatically since the mid-1970’s and continue to steadily decline without the intervention of radical proposals like IR 1545. Far from focusing on its stated goal, the unsubstantiated and highly prejudicial rhetoric included in the proposal implies that every licensed, inspected and lawfully operated pet store in Suffolk County furthers the crime of cruelty to animals. IR 1545 has already discouraged potential employers from opening new businesses in Suffolk County, and it jeopardizes the existence of responsibly and humanely operated pet stores which have been landmarks in their community for many, many years. To reiterate, the members of the Dog Federation of New York believe that all responsible owners of animals share a concern for the well being of pets and livestock. Under the law, we are all explicitly required to provide for their welfare and should be held accountable if we fail. However, our concerns cannot drive us to uselessly surrender the protections of our civil liberties that the U. S. Constitution and the laws of the State of New York afford and shutter responsibly-operated businesses which enjoy the support of their customers and community. Our publically elected officials are sworn to uphold our constitutional rights and protect us from violations of our civil liberties. We trust that Suffolk County’s legislators will join us in opposing IR 1545-2011.